Officer William Mosher—who panicked and shot my son as Erik and his girlfriend calmly walked out of Costco-Summerlin—had already killed one man, in his first five years on the Las Vegas Metro force. That shooting was ruled “justified.” With no video evidence or civilian witnesses, inquest jurors had no alternative but to accept the accounts of on-scene police officers, even though they were highly suspect. If he’d been wearing a bodycam on July 10, 2010, Mosher might not have fired at Erik. Having narrowly escaped criminal charges before, Mosher might have asked himself—as he hovered near the door of Costco, shaking like the proverbial leaf, according to witnesses: “If I shoot and kill again, will I be fired? Will criminal charges be filed against me?” With his and dozens of other cops’ body cameras documenting every move, there would be no escaping the truth this time. Body cameras on Mosher, Thomas Mendiola and Joshua Stark (the three shooters, who fired seven rounds into Erik, including five in his back) might have motivated the officers to opt for a much different, life-saving tactic: Follow Erik into the parking lot, de-escalate the situation by calmly talking to him, and check his legal concealed-carry permit. Everybody would have gone home safely…and Erik Scott would be alive and well today. That was almost five years ago, when bodycams were relatively new. Today, cameras are ubiquitous. Fixed-base cameras monitor street intersections, government facilities, retail stores, homes and offices throughout America. Additionally, most citizens now carry camera-equipped cell phones, and are increasingly quick to film any interaction between police officers and civilians. There’s a very high probability that an officer’s actions will be captured on video. Professional, honorable police officers have been willing early adopters, because they don’t fear bodycams. 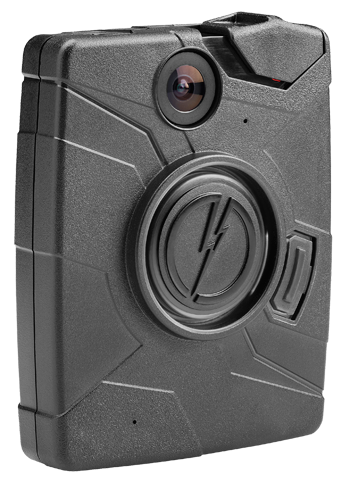 Smart police officers readily accept a reliable, high-quality bodycam as part of their essential gear, because it’s a tool of protection. A bodycam ensures events are captured close-up and can be reviewed from the officer’s perspective. Video and audio records will back up their version of an encounter, and ensure far fewer complaints are lodged by citizens. Bodycams also document heroic actions, such as the recent case of a cop rescuing a child from a burning home. Finally, experience validates that cameras often deter criminals from mouthing off or attacking officers, because even bad guys realize they can’t hide from that unflinching camera’s eye. Dash cameras in police cars and bodycams on officers also are restoring balance and fairness to officer-citizen interactions. Balance and fairness were destroyed by the Supreme Court in 1989, when an “objective reasonableness” standard was imposed by the court’s ruling in Graham vs. Connor. That case essentially gave police officers a get-out-of-jail-free card—a guarantee that they’d never be held accountable for using excessive force. An officer merely had to claim “I felt threatened,” or “I feared for my safety and that of others,” and he’d be exonerated for killing a person. Deadly unintended consequences of that 1989 Supreme Court ruling, exacerbated by inane “Qualified Immunity” laws, tipped the scales of justice firmly in favor of police officers. For the last 26 years, cops have been free to brutalize and kill, assured that they would never be held accountable or face criminal charges for actions that resulted in death. Further, taxpayers always would be stuck with paying lawsuit judgments. Literally, there was no longer a downside to shooting and killing. Since 9/11/2001, cops have killed more than 6,000 people —TWICE as many Americans as died on that modern day of infamy. In 2014, officers killed at least 1,101 citizens, as documented by killedbypolice.net, based on official reports and news accounts. Cops are now killing an average of three people per day, every day of the year. As of last Saturday, officers already had killed at least 280 people this year. Since May 1, 2013, at least 2,146 people have lost their lives at the hands of police officers. • Do whatever you have to, but make sure you go home at night. • Shoot first; don’t hesitate. But bodycams are starting to rebalance the citizen-versus-cop equation. Cameras level the playing field, because they’re both “deterrent” and “protection.” It’s slow, but bodycams are starting to roll back the unfair advantages imposed by Graham vs. Connor: Officers are less likely to use excessive force, and citizens tend to behave better, when being filmed. For example, when cops were required to wear bodycams in Rialto, Calif., complaints against officers dropped 88 percent, and use-of-force incidents declined 60 percent. Relying on police officers’s honor to record incidents and properly handle video and audio data captured by bodycams would be naive, though. Outlaw cops, which good officers claim constitute 25-30% of a police force in some cities, have destroyed the entire law enforcement community’s credibility. 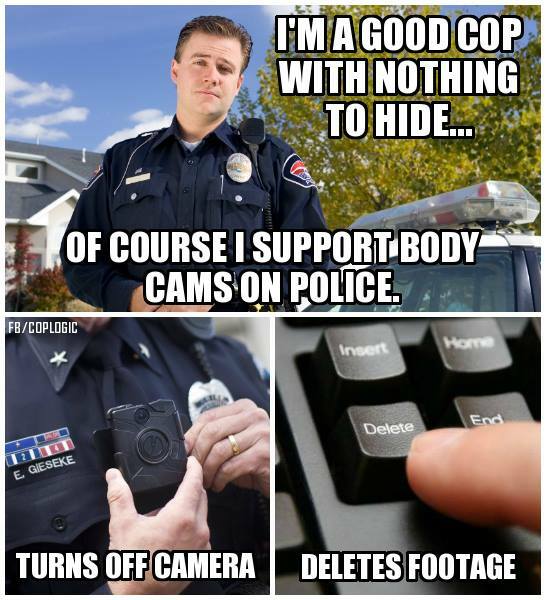 Bodycams alone won’t cure that problem, because rogue cops will circumvent video and audio evidence. For example, independent analysis of a six-month bodycam pilot program in Denver last year confirmed that 75% of use-of-force incidents were NOT captured. Officers claimed they forgot or didn’t have time to turn the cameras on, or that the devices malfunctioned. Consequently, stringent measures must be imposed to prevent tampering with and destroying camera data. For instance, an outside, non-law enforcement, neutral party should download and assess all video and audio data to preserve a credible chain of evidence, after an incident. Strong incentives and penalties also must be mandated to ensure cameras are turned on and video data recordings are not corrupted. 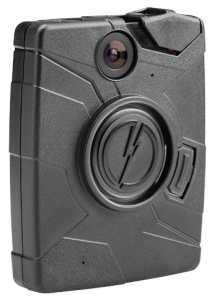 If I were designing an effective system, a loud, shouted command or noise (like a gunshot) might automatically switch a bodycam into “data-streaming” mode. All video and audio data would be transmitted in real-time to a third-party-controlled computer system that could not be accessed by anybody in the officer’s department. Bottom line: Body cameras are not a panacea. 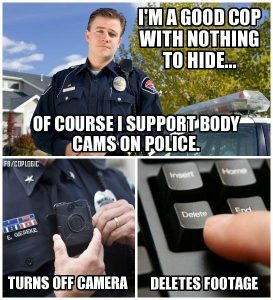 However, if airtight protocols are backed by strong incentives and disciplinary measures that ensure video data are not “disappeared,” bodycams definitely can protect police officers, the citizens who interact with cops, and taxpayers, who won’t have to underwrite massive lawsuit awards. Despite what police unions will claim, there’s absolutely no logical, defensible reason to not equip every police officer in Nevada with a body camera. The silent promise that a police officer’s body camera will capture impartial, irrefutable video data may serve as the powerful deterrent that saves your life or your child’s life. And it just as likely could save a good cop’s life and career. I’m not a Nevada resident, but my mission is to STOP THE KILLING here and across America. Nothing will heal the huge holes in my family’s hearts, created when a frightened cop mistook Erik’s BlackBerry phone for a firearm. But my goal is to make sure no other family is subjected to the nightmare of a loved one’s murder, as well as the jaw-dropping lies, demonization and character assassination that invariably follows, when police officers take a civilian’s life. Mandating that every officer wear a reliable body camera is a courageous first step to saving precious lives and holding cops accountable. He’s right. Almost five years after Erik was shot and killed, death-by-police-officer has become an epidemic and national disgrace. It’s also financially devastating to a state that depends on 40-50 million tourists every year. How many will never come to Nevada, because they heard about my son’s murder? Mandating that body cameras be worn by every Nevada police officer as a condition of employment, backed by robust measures to preserve and protect video data captured by those cameras, will start to bring cops back under the control of their employers—taxpaying citizens.